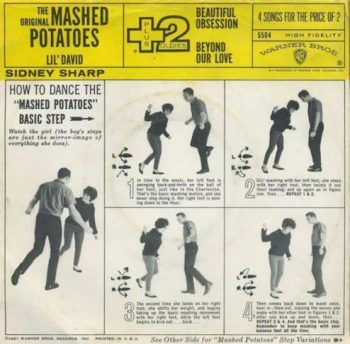 NEW SHOW: Dance The Hully Gully, The Fly, The Swim, The Dog, The Penguin, The Mashed Potatoes + Eriksson Delcroix *** Repeated: Early 60s Dance Crazes (Chubby Checker, The Dovells, The Roulettes, Les Bourgois de Calais, etc.) PLUS The Supremes, David Bowie, The Marmalade, Elvis, Iron Butterfly + BLUESIDE: Mark Harrison special + Frank Sinatra & Carlos Jobim, Etta James, Fats Domino, Richard Thompson, The Faces, The Kentucky Headhunters *** Sunday 10 Feb., 12 noon till 12 midnight, repeated Tuesday 12 Feb., 12 noon till 20:00 hrs *** Time Zone: CET Brussels *** Ed’s Show, 2019-05. FORGOTTEN & OVERLOOKED Gary Lewis & The Playboys + Dave Berry + Chris Andrews. SPECIAL MORE DANCE CRAZES Dance, Dance, Dance… The Dog, The Penguin, The Hully Gully, The Wah Watusi, The Pony, The Mashed Potato, The Swim and The Loco-motion with The Olympics, Rufus Thomas, Don Covay, Joey Dee and The Starliters, Dee Dee Sharp, Nat Kendricks & The Swans aka James Brown, James Brown, Little Eva, The Orlons, Grand Funk, Bobby Freeman. THE ORIGINATORS & INSPIRATORS : Memphis Slim & Willie Dixon (In Paris, 1963) + Mel Brown (Chicken Fat, 1967) + Mississippi John Hurt. SPECIAL ERIKSSON DELCROIX: Riverside Hotel. KEEPERS OF THE BLUES FLAME: Carl Perkins + Alan Glen and Steve Morrison (Blues South Of The River) + Tommy Castro & The Painkillers (new cd 2019, ‘Killing Time’). AND ALSO: LOVE & PEACE Mike Zito with Bernard Allison and Vanya Sky (live, from the ‘Blues Caravan 2018’ cd) + HOMAGE TO CATALONIA Llibertat Presos Politics + FREE SPEECH John Lennon & Yoko One: Bed Peace + La Internacional Anarquista (Guerra Civil). FORGOTTEN & OVERLOOKED The Supremes, David Bowie, Marmalade. SPECIAL: DANCE CRAZES with The Ray Bryant Combo + The Dovells + Georgia Gibbs + The Roulettes + Les Bourgeois de Calais + Danny Logan & Les Pirates. LONG-PLAYTIME Orange Bicycle (Hyacinth Threads, 1967) + Elvis (Kissin’ Cousins, 1964 + Roustabout, 1965). THE ORIGINATORS & INSPIRATORS Frank Sinatra & Antonia Carlos Jobim + Etta James (Rocks The House, 1964) + Fats Domino (A Lot of Dominos, 1960). 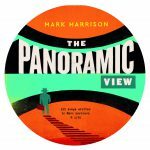 SPECIAL: MARK HARRISON: Panoramic View with spoken introductions, cd, 2018. KEEPERS OF THE BLUES FLAME: Ian Gillan & The Javelins (cd, 2018) + Joe Shelton (cd Ridin’ A Chicken) + The Kentucky Headhunters (Live At The Ramblin’ Man Fair, 2018 + Richard Thompson (13 Rivers, new cd, 2018) + The Faces. “This is a thing of beauty. Bjorn Eriksson (gtrs, vcs) and Nathalie Delcroix (vcs) rank among Belgium’s finest artists. They can always be found in Americanaland, but in this particular instance they’ve immersed themselves chin-deep in Louisiana – tunes, lyrics, additional sound effects, instruments, and a double helping of Cajun French to complete the picture. ‘Riverside Hotel’ is the couple’s fifth album in as many years, with seven new compositions and three full-blooded Cajun traditionals. The disc kicks off with the up-tempo ‘Louisiana Hot’, with Nathalie Delcroix’s high, crystal-clear voice being sustained by a pounding rhythm section which is in complete harmony with the accordion and sharp guitar chops. It ends with chirping crickets, allowing the listener to visualize Louisiana and the swampy, hot location of the Riverside Hotel. Similar local sounds are spread all over the record. There is something compelling, repetitive about this track – akin to the Mississippi blues buzz drone. This discrete thread holds everything together and eventually defines the pattern, in this case an almost haunting atmosphere – as in ‘Elizi, Ursule, Erzulie-Ge-Rouge’. Still, this is a happy, at times funny album you can sing along with or dance to. It is remarkable how all the instruments (the duo chartered an extra six top musicians!) are interwoven on each track, whether authentic Cajun (‘La Dance de Mardi Gras’) or rockin’ blues (‘Flat Earth Blues’), resulting into a homogeneous sound. Equally remarkable is that Ericksson wrote the lyrics after a trip to the Deep South with this drummer Alain Rylant. A truly authentic and professional piece of work”. “Following on from 2016’s well-received Turpentine, The Panoramic View is British singer/guitarist/songwriter Mark Harrison’s sixth album and probably his best yet. In a collection of 15 original songs, played on a variety of acoustic instruments, recorded with crystalline clarity by Tim Bazell of Heart of Gold Studios in London, Harrison cheerfully mixes folk, blues and gospel to create an album that is uplifting, thought-provoking, entertaining and distinctly different.